2013 and 2014 felt like something of a wash out for me. After two family bereavements in 18 months I've pretty much felt like I've been doing nothing but treading water the last few years. 2015 needs a change. It's needs a new, fresh start. It needs to be a new chapter. One of more positive attitude. Of moving forward. Of consistently doing that which I know is good for me (physically, mentally, creatively, personally). I began the year carrying the stress of a problem what wasn't even my own (why do we feel the weight of our children's woes as heavily on us as they do on themselves?). Since that's been resolved I'm filled with a much lighter feeling of impending possibility. A new year. A new start. I was struck by the niggling feeling of needing a new space online. It feels like a thousand years ago when I began my original Protectthecookie! blog (it's actually been 8. Eight years. Wow). When I look back at the blog posts on there is brilliant to have so many memories available at the click of a mouse, but it also feels distant some how. With by blogging tailing off so much in the last few years I feel a million miles away from that person with two very young children who first ventured out into the blogging world with waffle about teapots and baby poo! My children have grown so much. Grace is set to start High School in the Autumn. Ewan is already in Juniors. A far cry from those two tiny people I first wrote about. Then there are the new arrivals to the Cookie household. 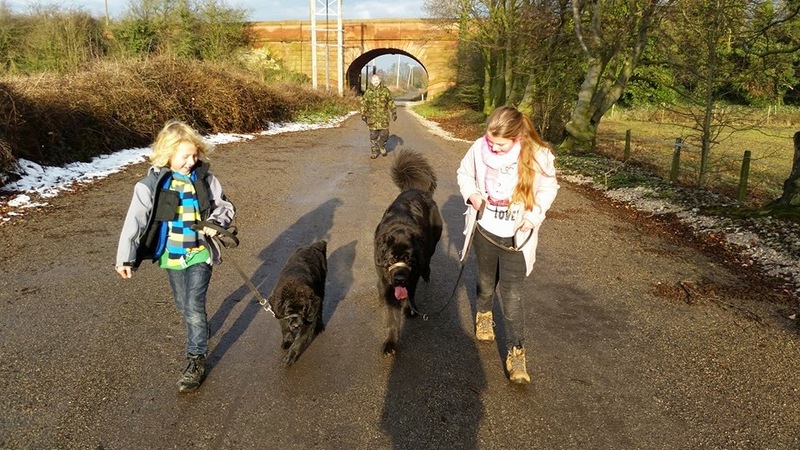 Gorgeous Newfoundland gigantapuppies who make every day a fur filled, drool coated adventure. Working full time now and juggling the delights of extra-curricular commitments means I seem to have much less time to battle the daily grind, not to mention trying to find time to fit in the things that I once loved to do (like creating things (with paper, and yarn and fabric) and writing things (online or on paper). As a family, we've evolved. We're constantly evolving. 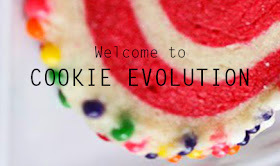 This is the evolution of the Cookie household. Long may it continue. EDITED TO ADD: The Cookie is going to have to learn to evolve in it's old environment. I cannot get to grips with Wordpress. I hate it. It's officially crubbish! New Blogger theme to follow. Yay for a return to blogging! I've missed hearing your ruminations on life and your crafing :) Looking forward to seeing more.